Mouse is the great, great niece of Ratheart. She had a bad relationship when she was young that left her broken and cost her the lives of her kits. As a result she is distrusting of intimate relations with toms. She also only opens up to Ratheart or she-cats. She is open to anything aside from on maiming or death. I’m unsure about litters though since she is so distrusting. 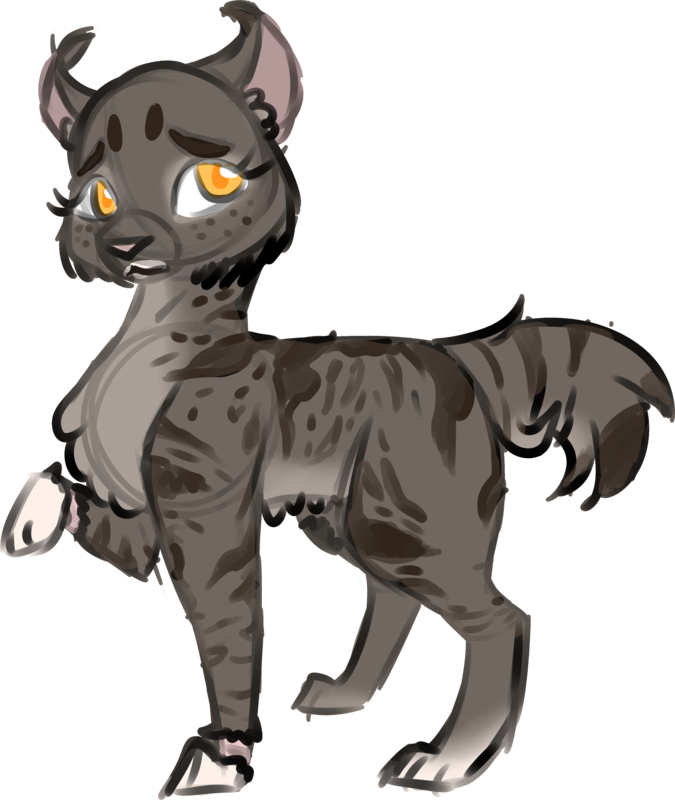 Mousefreckle || 30 Moons || DarkClan || Great Great Niece of Ratheart || "The Broken Heart"
Maybe a thread with Antbite? Ant is super grumpy but she hangs with Ratheart, since they both elders. So maybe they can have some kind of interaction thread? oh, sure! She might know Mousefreckle as she visited Ratheart often as a kit and every day after her bad relationship. I am at work right now but can make a thread on my break. If you'd like, of course.